This was a small garden in the Plaza de la Virgen near the Basilica de la Virgen de los Desamparados . 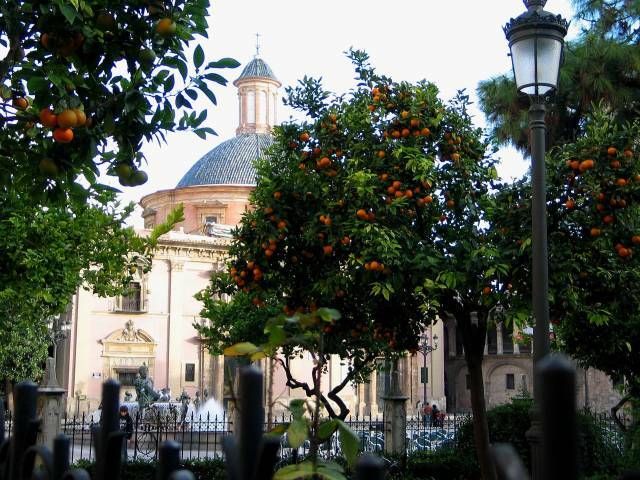 Like many public spaces in Valencia, there were orange trees growing, with oranges on them. Jimmy (Can't Take Him Anywhere) took one down. He tried to eat it the next day on the beach but it was sour!